You are currently browsing the tag archive for the ‘Inner West’ tag. 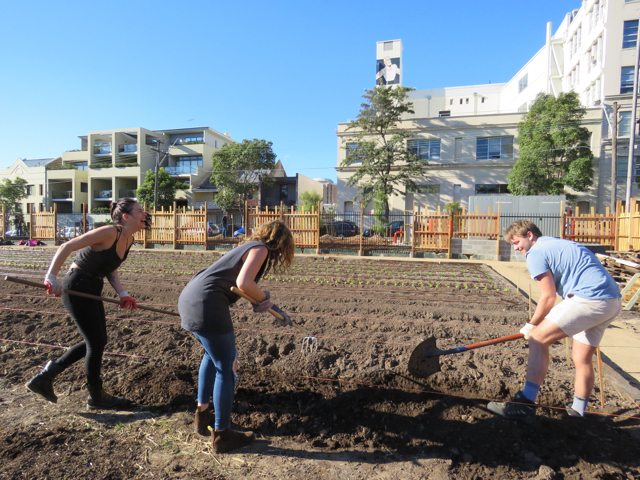 An organic pocket farm has sprung up in the inner city suburb of Camperdown. Some of the raised garden beds can be seen, as well as the first farm patch, which is growing well. 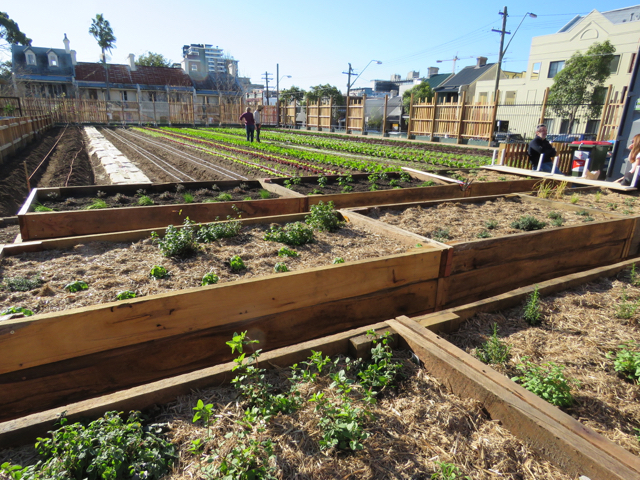 Another view of the vegetable plot with the back section of Camperdown Commons visible in the background. Three enthusiastic volunteers tilling the soil of the second farm plot under the ever-watchful eye of Chesty Bond. We cycled over to have a look at Camperdown Commons today, which has been operating for just one week. What a delightful surprise this place is. Everything screams – We Care! A bit of history before I start waxing lyrical. ‘Camperdown Commons’ is the new name & venture of what was previously the Camperdown Bowling Club. It is located beside Camperdown Park at 31a Mallet Street Camperdown. The land is owned by Canterbury-Hurlstone Park RSL Club. Under the watchful eye of ‘Chesty Bond,’ a historic figure in the Inner West, the former clubhouse has been revamped so much so that it is unrecognizable. 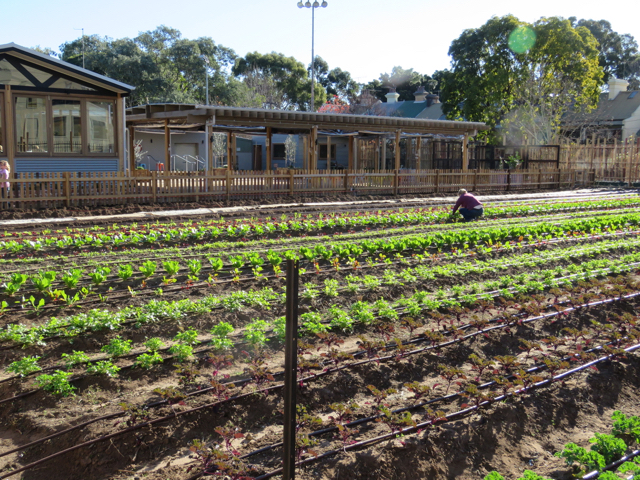 Two bowling greens have been transformed into large vegetable gardens. These will be providing seasonal organic produce to the large restaurant named ‘Acre,’ which is licenced. The restaurant itself was lovely to look at. It was spacious & airy with windows that open fully, which will be a boon in summer. They used a lot of wood in the construction & with the furniture, so it has a warm, soft feel. Because much of the produce comes from the onsite farm, they can boast zero food miles, which has got to be applauded. 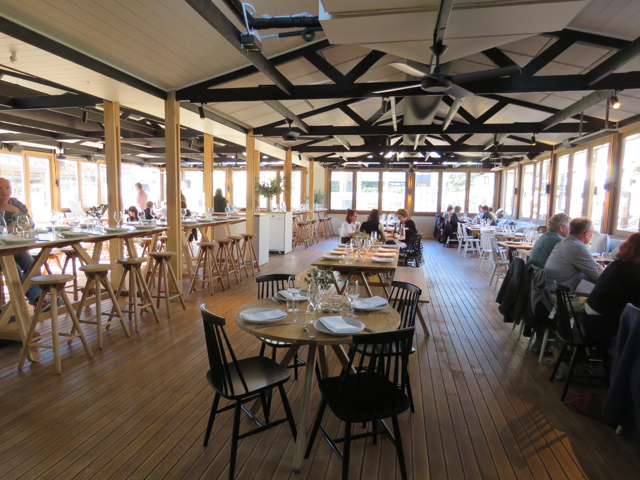 There is indoor eating & also a large terrace filled with tables & covered by wooden pergolas providing shade. All around the building are raised garden beds planted with herbs & flowers. It is very nice. I spotted a bougainvillea, so one day there may be a riot of colour cascading over the pergolas. The outside terrace looks over a newly planted lawn, which will be a great place for the kids to play. On the corner next to the terrace is a wonderful children’s playground – different to any that I have seen. The area has a sunken circle that looks like a wagon wheel on its side. There are gabion walls & smooth logs that allow kids to walk or climb over. There are a couple of structures that look like large framed pictures. These have moving parts attached allowing the kids to move wheels, turn on switches & other kinds of things. There are many semi-hollowed out logs that have been polished smooth so as not to cause splinters. 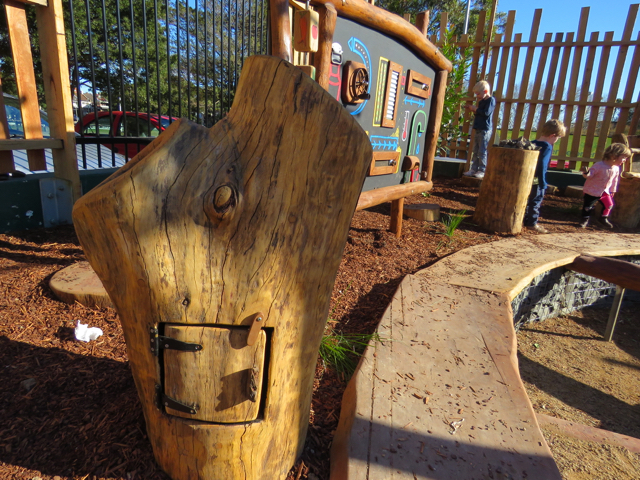 These allow kids to climb, hug & fill the hollows with mulch & rocks situated around the logs. Some of the logs have doors that open & have latches. There is also a large tree sculpture. I think it looks great. While we were there, birds perched on this watching the goings on with interest. There is no concrete. Mulch, pebbles & clay paths make up the area. By sinking the playground, they have made it an interesting space for children. The space encourages children to be active without relying on the more traditional playground infrastructure & therefore encouraging more imaginative play in my opinion. Next to the playground is a Hen House & to my delight I saw that all the hens are rescue hens – that is, saved from battery farms. These hens won’t believe their luck. For a chicken, it will be like coming from hell to heaven. I was most impressed by this ethos. The Hen House is quite lovely too. Camperdown Commons has lots for children to see, do & learn. They also plan for workshops & lifestyle classes. Plus, there are also spaces for hire making this a multi-purpose site for the community. If you don’t want to have a restaurant meal, there is a sandwich hut near the entrance. This sells all kinds of food & drinks. The seating around this has a country feel & there is even a wheelbarrow filled with flowers & herbs. Now to the farming side of the venture. One of the vegetable gardens is established while the other was being tilled & planted by volunteers. All around the garden farm are raised beds filled with herbs, flowers & vegetables. In the common space at the back are two olive trees, another undercover area for workshops or entertainment, more raised garden beds & even a large insect hotel. These are quite easy to make & I may write a post about these later. To have a good garden, you need beneficial insects to do the hard work of pollinating for you. Insects will come if there is food, but if there is an onsite hotel with superior accommodation, they are likely to move in & that is what any good gardener wants. Even the fencing around the property is interesting. It is a mix of traditional black steel vertical bars & hardwood planks cut at at different lengths. You can see into the property from the street, which is an added bonus. The view inside will passively educate the passing community as to what can be achieved in unused spaces & hopefully inspire them to join in or dig up a bit of lawn in their own garden. In the back area, panels of perspex has been attached to the inside of the fence. This allows full visibility, but protects both the gardens & people from the wind. I thought this was a smart addition, as cold wind can ruin most people’s outdoors experience. The street area along the verge was being planted by volunteers. They were planting more flowers & herbs around a mix of fruit trees & heavily mulching the beds. It already looks wonderful. Even the bike parking poles, of which there are many, were attractive. 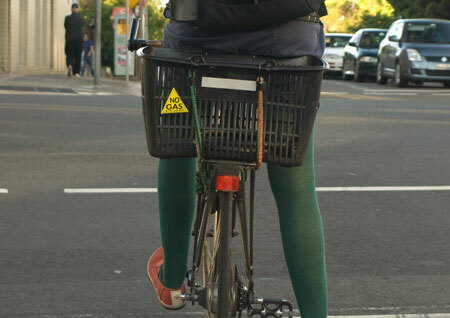 They sit on compressed clay – again, no concrete – & the bicycles can be attached to wooden poles that have two wide holes in them to thread your bike chain through. The use of wood in Camperdown Commons is very soothing to my eye. I like that my eye wasn’t being drawn to concrete, but rather to plants & wood of various colours & hues. The farm is being managed by Pocket City Farms who have a wonderful aim. Their first workshop at Camperdown Commons is happening next week & is titled, ‘Edible Gardening for Kids.’ “This workshop will provide a fun & interactive opportunity for kids to get involved with the farm & the demonstration garden, learning to plant seeds, to grow & harvest their own food & to compost their scraps.” Pretty exciting if you ask me. WHEN: Wednesday, July 6th 2016. I am bound to have missed some aspects of this marvelous venture, so you will need to go & experience it for yourself. I think the whole space is wonderful. It is great to see spaces like this repurposed into something that incorporates nature & growing things. It’s good for all of the community to have an opportunity to get their hands dirty & learn how to grow food. Lastly, some of the produce will be for sale at a market stall. Camperdown got really lucky. 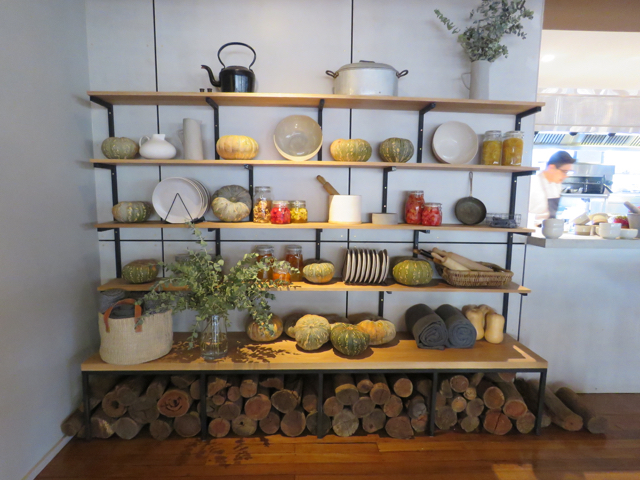 One of the lovely displays inside the restaurant Acre. More raised garden beds with the Hen House in the background. A section of the Children’s Playground. I found this a very interesting place totally suitable to children making up their own play. 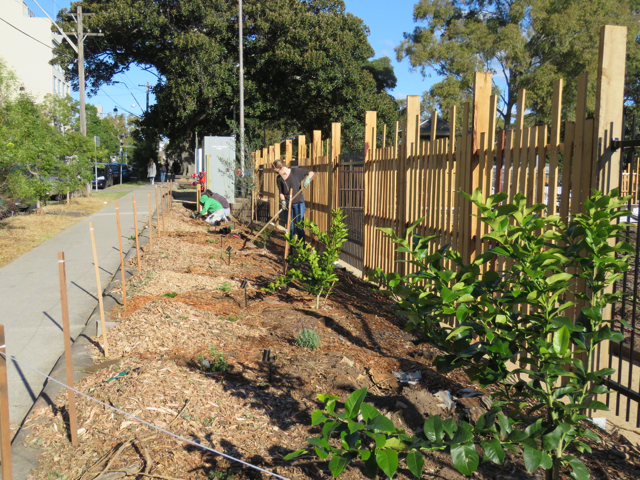 Volunteers were busy planting & mulching the 100-metre verge, which has been planted with fruit trees, herbs & flowers. Such a boon for the streetscape. 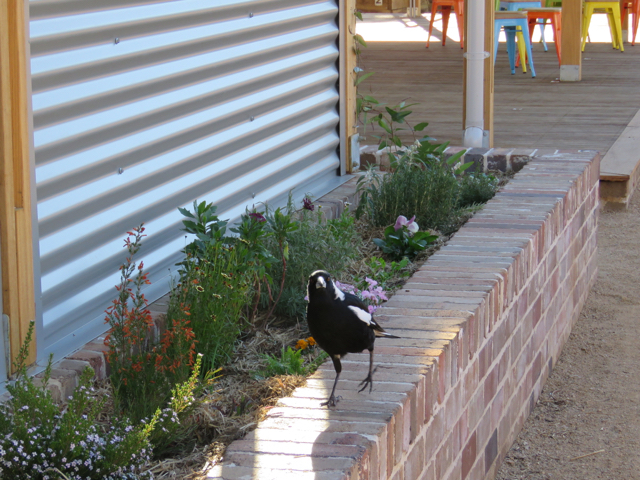 They have a resident Magpie who seems very happy. Everywhere I looked there were flowers & herbs. A great deal of care has been taken to make this a beautiful place. It will only get better. NSW Premier Barry O’Farrell has pledged that any petition with over 10,000 signatures would be debated in the NSW Parliament. More than 15,000 people across NSW have signed a petition against coal seam gas mining & the numbers are rising. The petition calls for an immediate moratorium on all coal seam gas projects, a Royal Commission into the full impacts of coal seam gas mining & an immediate ban on fracking. Lock the Gate Alliance, Stop Coal Seam Gas Sydney & other groups in NSW have organized a rally to present this petition directly to Premier O’Farrell. MEET: Hyde Park North fountain near Elizabeth & Macquarie Streets next to St James Station. There will be speakers at Hyde Park & then a short march to State Parliament in Macquarie Street where the petition will be handed to Premier O’Farrell. 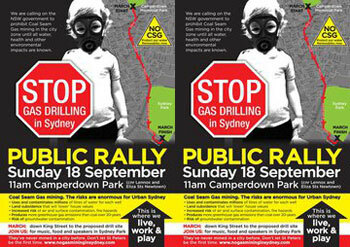 Rally – Stop Coal Seam Gas Drilling in Sydney! Local community group ‘Sydney Residents Against Coal Seam Gas’ are holding a rally to protest the impending drilling for coal seam gas by Dart Energy at the Dial a Dump site in St Peters. The rally will also be calling on the NSW government to prohibit coal seam gas mining in Sydney until all water, health & other environmental impacts are revealed. There is much for the community to be concerned about with Dart Energy’s mine in St Peters. Recently the Queensland government banned coal seam gas mines within 2km of a residential community of 1,000 people or more. Here in NSW, coal seam gas mining is proposed around 4km from Sydney CBD in a high-density residential area. This will be the first time a coal seam gas mine has been established in an Australian city. Dart Energy intends to use a horizontal drilling technique that will allow them to drill 3.8kms & up to 6kms in all directions from the St Peters mine. 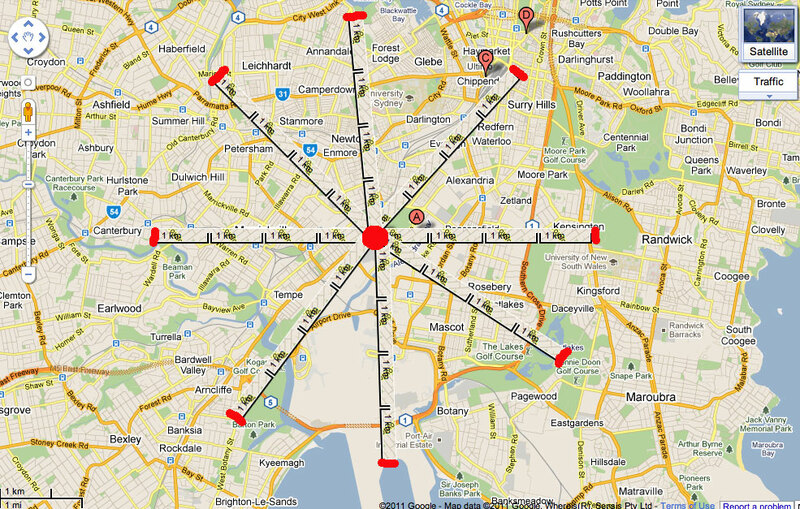 Click on the map below to see just how far 4kms is in each direction. It’s actually most of the Inner West, which makes this an issue for many more people than just those who live in St Peters. Coal seam gas is touted as clean energy, but in reality it is just as dirty as coal once all factors in the process are taken into account. There is a significant risk of accidents that could contaminate groundwater. In this case it is the Botany Bay aquifer, the Alexandra Canal & the Cooks River. Wolli Creek & Muddy Creek, the lakes of Sydney Park & The Lakes Golf Club are also in the 3.8km zone, as is Botany Bay near Kyeemagh. There is currently no known method to remediate groundwater once it is contaminated. WHERE: Meet at 11am Camperdown Memorial Park – corner Lennox & Eliza Streets Newtown. The rally will march down King Street to outside the drill site at St Peters & then a further 100-metres to the finish at Sydney Park where there will be speakers & music. Food will be available. Dress for the weather, wear waking shoes & bring water. This google map shows 4kms from the Dial a Dump site in a number of directions. Click to enlarge. “We have been hearing credible rumours … that the Greenway is going to be cut from the State budget in September & will not be built. Only the light rail will be built. The Minister has not responded to our recent letter nor our phone calls to her office. The Greenway is in trouble and its needs your help to save it. If you want to see the Greenway built please send the attached letters with your name & address to the Premier & the Minister for Transport. It is imperative that we act now before the final budget is handed down in early September – it is much harder to change a decision once it has been announced. Please don’t delay we need a campaign to start now. Also send a copy of your letter to your local member. This is serious stuff. The Greenway has been loved & nurtured by many community volunteers & Ashfield, Canterbury, Leichhardt & Marrickville Councils have poured money & time into its creation & maintenance for over a decade. It is vital habitat for the critically endangered Long-nosed Bandicoot & a much needed green corridor for urban wildlife. To not have the Greenway is unthinkable & the impact will be nasty for wildlife. People also benefit from the Greenway in that it offers a safe track along regional routes for walking, jogging & cycling. 23 schools in the catchment area expect that the corridor will be available for children to walk safely to & from school without the need to cross busy roads. Please send a couple of emails & share this information with others. Perhaps any thought of dismissing the Greenway will go once the government realizes the community support behind it. With the Cooks River, the Alexandra Canal & the Botany Bay aquifer so close to the St Peters drill site, the impact of any accident could be horrendous for the water table, the Cooks River, Botany Bay & the river & urban wildlife. First up will be a short film on coal seam gas mining in Australia, then the speeches & questions from the audience. This is our first chance in a public meeting to listen to & ask questions of Dart Energy. The range of speakers should make this an interesting & informative evening. On 21st June 2011 the Bureau of Meteorology warned of wind gusts of 110 km/h buffeting the Hunter ahead of a strong cold front. Suddenly the weather becomes interesting because once again the Laman Street Fig trees in Newcastle are fighting for their lives. 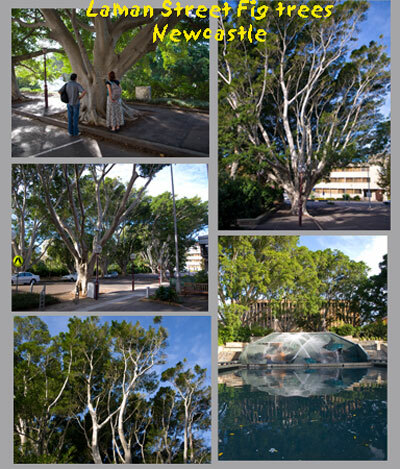 Statewide Mutual, who insures Newcastle City Council sent a letter of demand – the trees must be removed by 31st August 2011 unless Council can provide new evidence that the trees won’t fall down. If Council does not chop down the trees, any incident will not be covered by insurance, putting the Council between a rock & a hard place. Newcastle Councillor Bob Cook brought the Laman Street Figs back into the spotlight on 31st May 2011 before the letter of demand by Statewide Mutual by calling for the trees removal. He also suggested monitoring the trees with an accelerometer on a number of occasions over 6-15 months for a cost of up to $100,000. The cost alone is enough to make most people concede defeat. An accelerometer measures the movement of the tree when pulled, mimicking the conditions of high winds. Thing is, Mother Nature has tested the trees for free on 4 occasions since the Pasha Bulka storm in June 2007. This storm was described as a ‘mini cyclone.’ It beached the oil tanker Pasha Bulka aground on Nobbies Beach & smashed Newcastle, yet the Laman Street trees standing today made it through that storm (and others since) unaffected. The Sydney Morning Herald has an article today about the increase of tree poisoning happening in Sydney, particularly the Inner West. SoT got a mention. Good looking, tall street trees significantly increase the value of nearby properties. 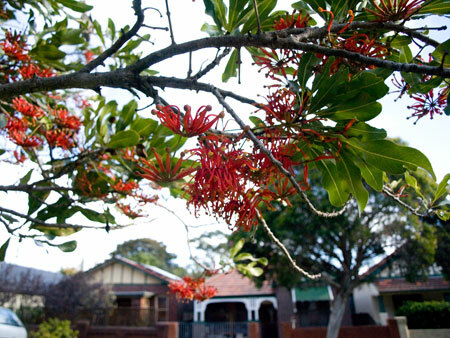 A property that has a leafy canopy will sell for more money than one that doesn't. If you want to increase the value of your property, plant trees. 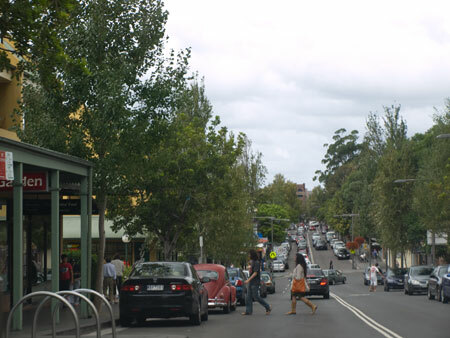 This post is about Norton Street Leichhardt as part of a series about main shopping strips in other local government areas. Norton Street is famous for being the undisputed Italian food heaven in Sydney. 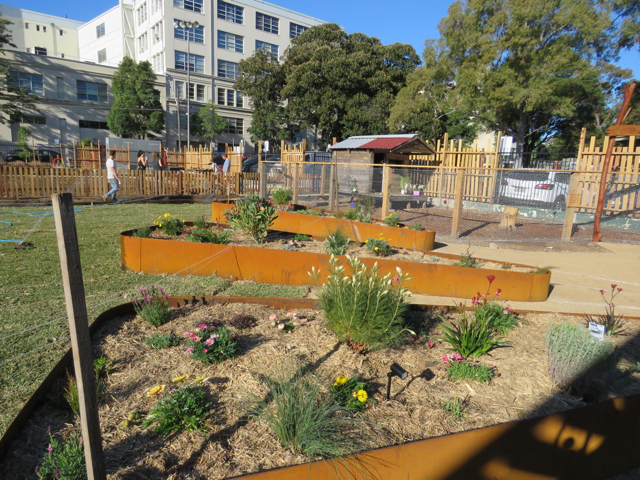 Leichhardt Council has made the best of this reputation by implementing a number of placemaking initiatives to improve the streetscape to make the area look lovely – & it does. Norton Street, especially the side west of Marion Street, has really changed over the last few years. The power poles have been removed & now, overhead lights that match the historic nature of many of the buildings provide street lighting. This is terrific for the street trees as well as the streetscape because the street trees no longer need to undergo radical pruning every few years, allowing them to grow to their full beauty. Leichhardt Council also kept the many large street trees that were growing when I lived here 20-years ago & they have planted more. The effect is a green streetscape, which has been enhanced by layered green hedges with flowering gardenias in the centre on most street corners & scattered amongst the designated eating areas. Street trees have also been planted in contained spaces on the side of the road taking a space of a car park, but to great affect. Permeable paving around the tree has been used in pedestrian areas. It was nice to hear Lorikeets in the street trees. They haven’t used many deciduous trees. I like this because if deciduous trees are the main tree species along a shopping strip, the street is stripped green for 5-6 months of the year. Bare trees are not particularly visible to me from a distance & they also have the weird psychological effect of making me notice the cold more. I like my trees green & leafy. I only like deciduous trees as street trees when there is more green than grey infrastructure. In Canberra, landscaping is on many layers & when a tree loses its leaves during winter, the landscape shows through, not the walls of the buildings. It’s just a personal preference. There is another factor that is increasingly becoming an issue & that is the need for shade, even in autumn & winter. The sun is getting hotter & we can still burn on a sunny day in winter. One traffic lane on Norton Street has been reclaimed allowing the footpath on both sides to be widened. This allows for pedestrians to walk freely & for the creation of designated eating areas. They have moved well past café tables juggling for space with pedestrians. The eating areas jut out into the road & are separated from the footpath traffic. The staff from the many restaurants are the only ones who need to juggle through any pedestrian traffic. Planter boxes that are filled to bursting with colourful petunias, wooden barriers & green hedges & gardenias surround the eating areas. I imagine the flowers will change seasonally. The gardenias will scent the air during the summer months. Some were even flowering this Easter. Long rows of planter boxes filled with petunias have been placed on the four corners of busy Marion & Norton Streets to great effect. It’s a simple & reasonably cheap thing to do, yet introduced colour makes such a positive impact & takes your eye away from the traffic & directs it to flowers. On the lawn outside the Leichhardt Town Hall is a no dig vegetable patch showing the community what can be done in a small space. A young Camphor laurel tree has been planted directly outside the Town Hall. In the decades ahead this tree will frame the Town Hall & cascade over Norton Street with beautiful lime green leaves. 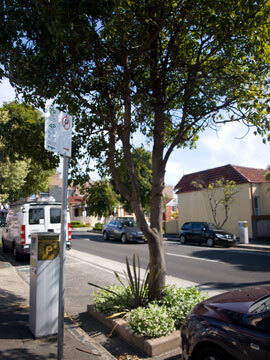 I am very impressed that Leichhardt Council is still planting this species of tree. If Camphor laurel’s were the dangerous urban weeds that they are claimed to be, the Inner West would be a forest of these unwanted trees by now. It hasn’t happened over 8 decades or more – yet. As such, these trees deserve a place as graceful elegant long-lived shade trees in our landscape & I am not surprised that one was chosen to be outside the historic Town Hall building. They are also great at sequestrating CO2 as well, adding another significant benefit. There is some street art. I noticed a peaceful mural on one large corner wall of a shop & a painted electricity box. It was great one of a dog & a cat howling at the moon. There is no graffiti or tags & there are plenty of bins at regular intervals so there is no litter either. Overall the look is very inviting & people-friendly. I would call the work done on the lower end of Norton Street successful placemaking. Traffic, pedestrians & people dining all fit comfortably into this space. The eating areas will easily adapt to any changes to the shops over the years. There are also places to sit in the shade outside restaurant designated areas. Everywhere the eye looks you can see green trees & plants. This will have a positive impact on all the businesses along Norton Street as green areas with landscaping & many large trees equates into people spending 11% more because they tend to linger. Marrickville Road Marrickville looks very different from both Glebe Point Road & Norton Street. I can see no other reason why it should, other than a policy decision by Marrickville Council. There are a few street trees & garden beds on some of the corners & these look good except in winter when the shopping strip looks bare. There are also the 4 new Eucalyptus trees in Alex Trevellian Place. They should make a nice statement when they mature. Other than this, in my opinion, the streetscape of Norton Street & Glebe Point Road are miles ahead. 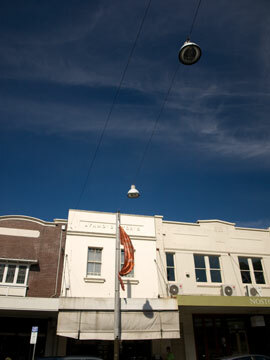 I recently visited Glebe Point Road & noted how lovely & green the shopping strip looked. 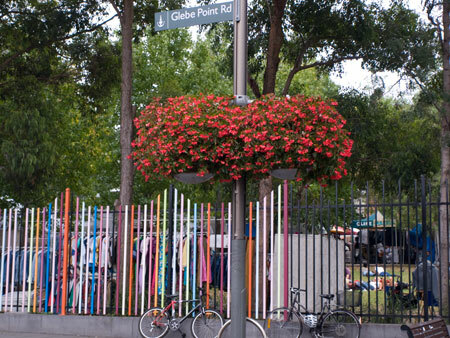 Glebe Point Road is in the City of Sydney Council LGA. 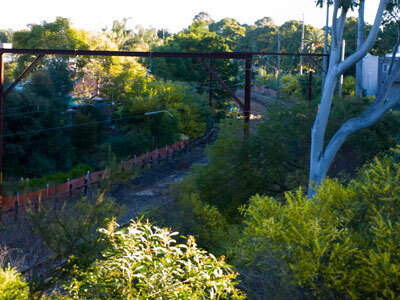 Glebe has always been a heavily treed area & the canopy includes Glebe Point Road. Most of the street trees I first saw as a young woman are still there. In the last couple of years Sydney Council has planted extra street trees along Glebe Point Road as part of a major makeover of the shopping strip. These trees were 4 metre high when they were planted. This had an instant greening effect & must have prevented vandalism. 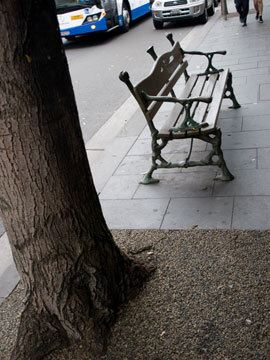 There are permeable surfaces around all the street trees level with the footpath. Large mature trees such as Camphor laurels have been retained & gracefully create a canopy across the road. Two years ago I noticed that very large hanging baskets filled with red Begonias were installed at regular intervals along both sides of Glebe Point Road. These flowering baskets are vibrant & beautify the streetscape. I am unaware whether the Begonias are replaced at intervals or pruned periodically to allow for new growth, but after at least 2 years they are continuing to bloom. I’m taking a guess that they are Begonia acutifolia, which will grow in full sun & pretty much flower all year. I applaud City of Sydney Council for this initiative. The hanging baskets full of Begonias is a relatively cheap way to add colour & beauty & it would be great if Marrickville Council copied this. 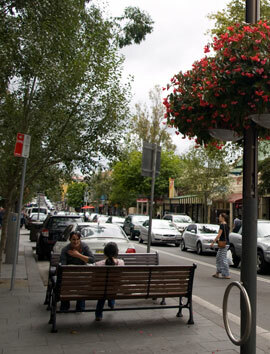 Imagine hanging baskets of flowers all along King Street & along our other main shopping strips. Begonias can be easily propagated from leaf cuttings. The revamp of Glebe Point Road has other great features. The footpath has been widened in parts & street trees that grow to a significant height have been planted in these areas. Widening the footpath overcomes the presence of shop awnings, a common problem in Sydney when it comes to street trees. It also allows a wider area for pedestrians & for areas where café/restaurant seating can be provided without impacting on passing pedestrians. A few car park spaces have been lost, but the overall benefit outweighs this loss. City of Sydney Council has also installed a number of great looking park benches. They are artistic in form & eye-catching. My guess is that these would be more expensive than the usual bench designs, but they too are worth it. Small things like these ‘dress up’ the street & beautify the streetscape. Once a street becomes better looking, graffiti tags lessen. Research on the whole has found that the more dowdy the area, the more tags there are & the more difficult it is to prevent repeat tagging. Although Glebe Point Road has always been a shopping destination, the presence of nearby Broadway would have had a massive impact on the smaller shops when it was built, just like what will happen if the Marrickville Metro expansion goes ahead. Sydney Council has fought back by making Glebe Point Road a pretty pIace to shop. The Glebe Markets held there in the school playground with lots of tall shady trees also draws the crowds. I believe people are more likely to visit shopping strips that keep with the times & look good. If the strip is ugly, people go elsewhere. City of Sydney Council have achieved a good balance of beauty & convenience at Glebe Point Road. 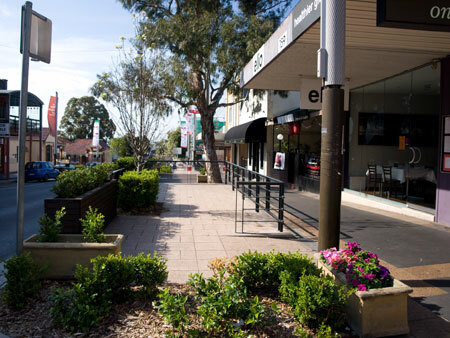 It is also a friendly place for the residents & must encourage them to do their shopping on Glebe Point Road.